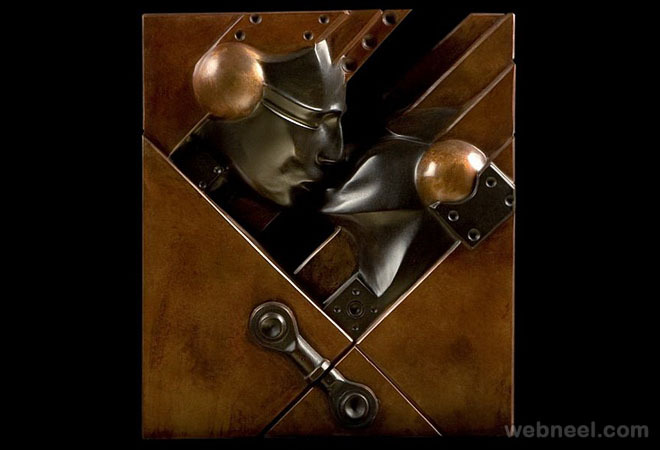 Copper Wall Art Sculptures: French artist Pierre Matter is a well known for his stunning copper sculptures. 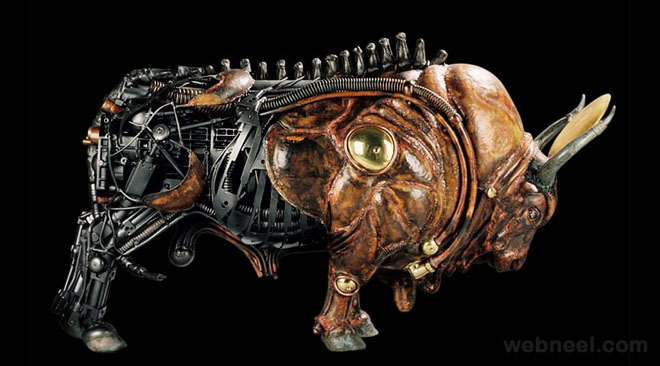 He was born in 1964 and was known to be very restless from school. 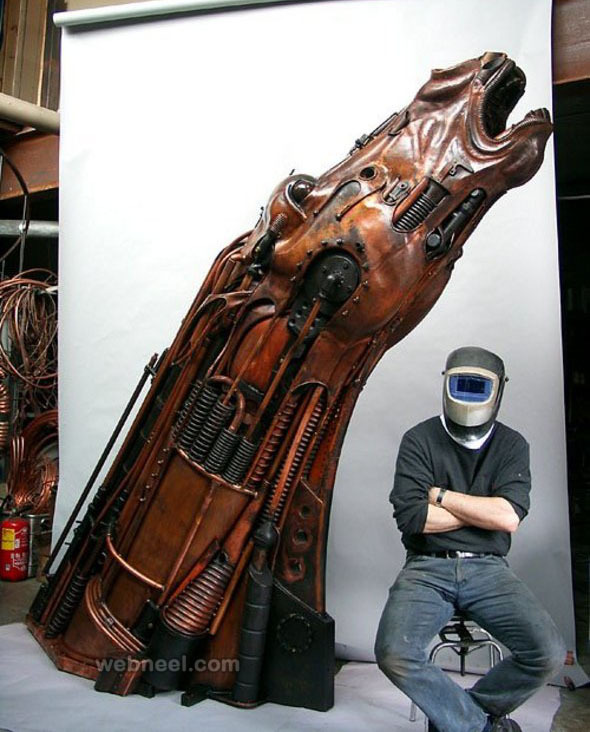 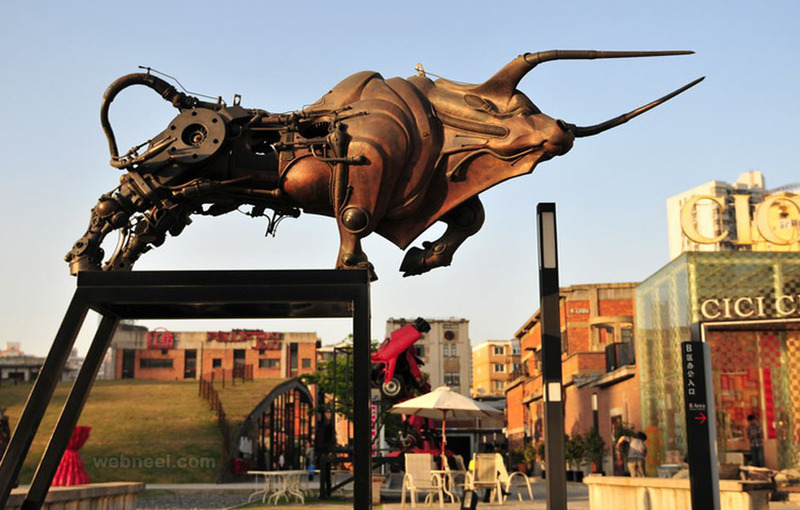 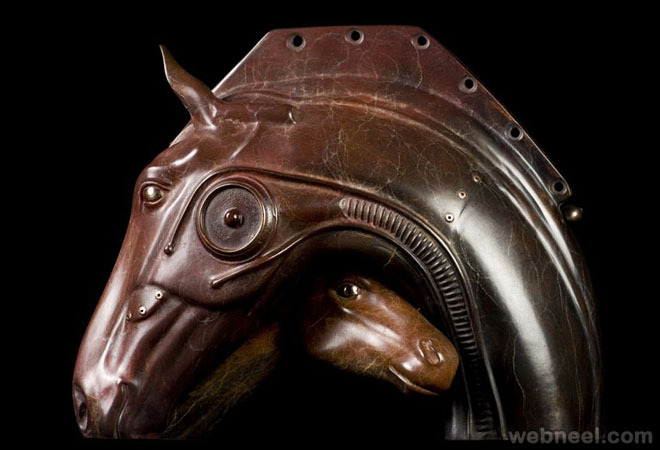 His highly imaginative mind was put into good use for creating monster copper sculptures, yeah i call them monster copper sculptures, because some even weigh 1.5 ton. 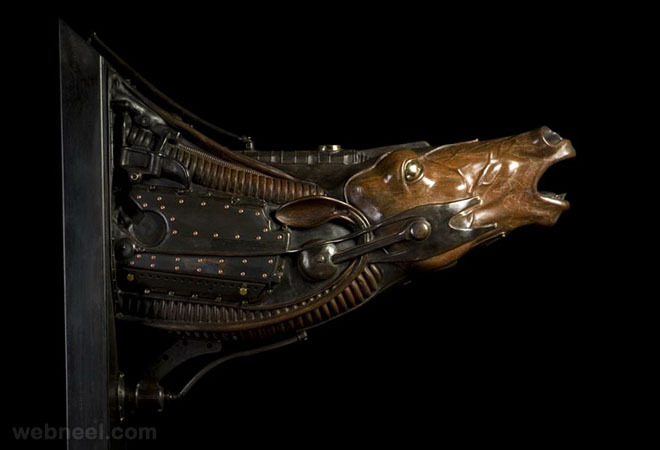 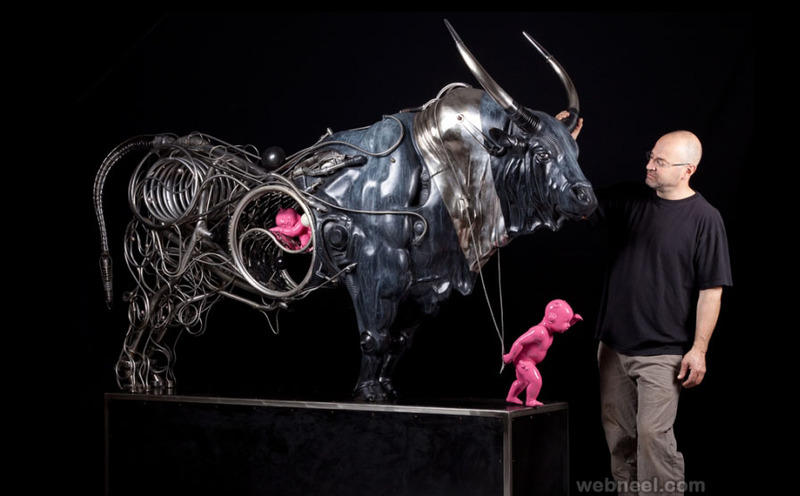 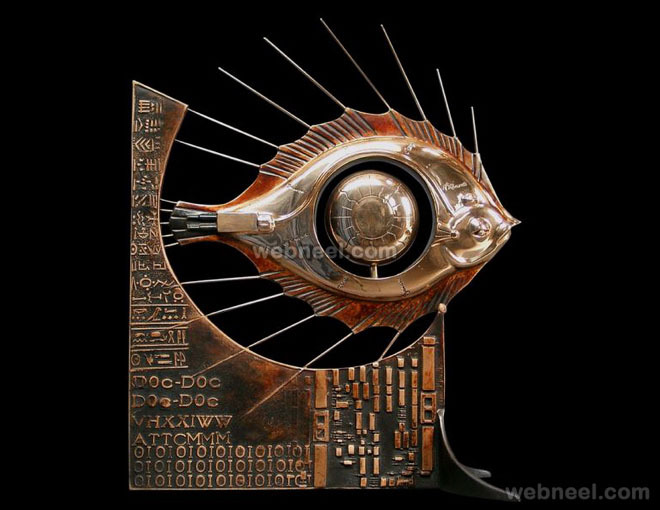 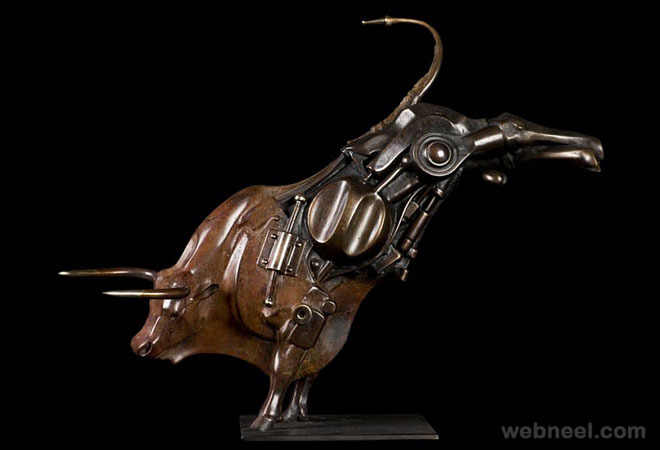 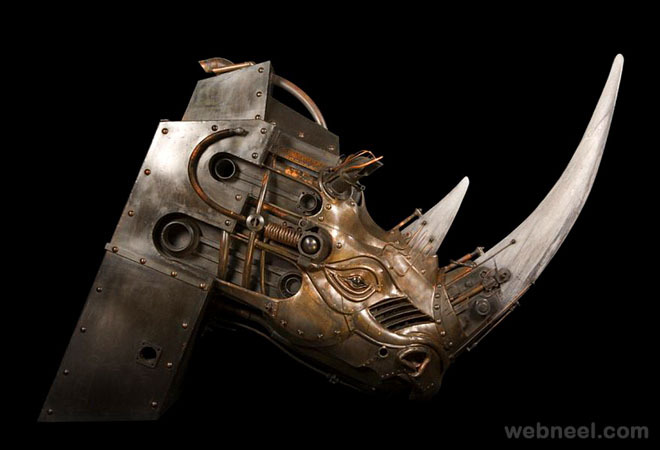 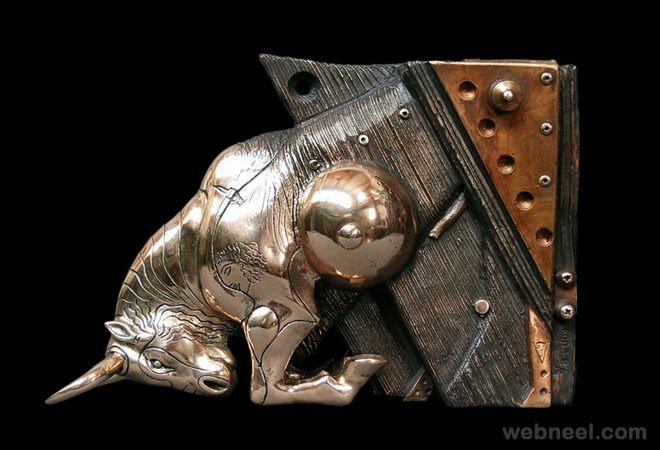 He follows the steam punk style for creating his sculptures and he uses copper, bronze, brass, stainless steel etc to create his artwork. 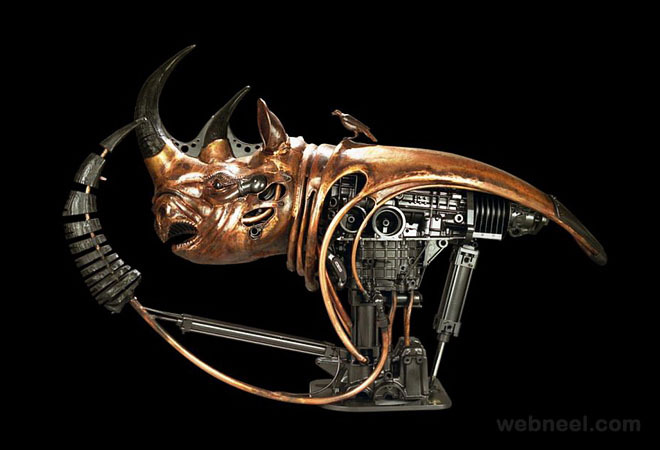 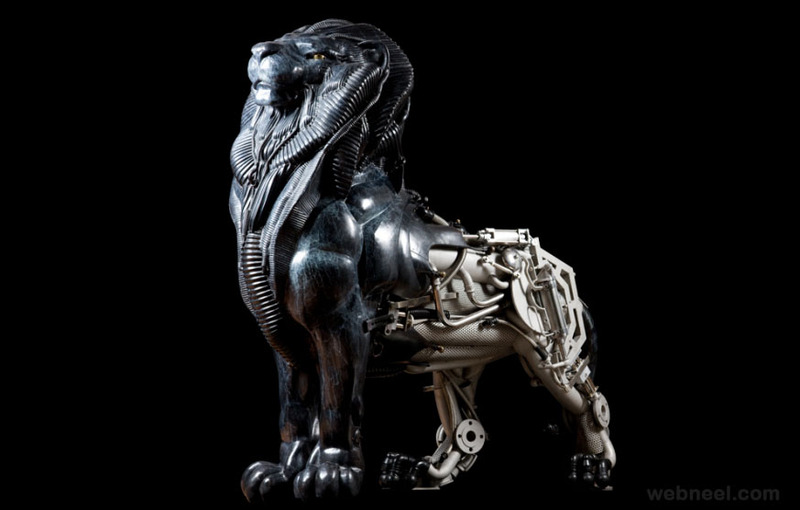 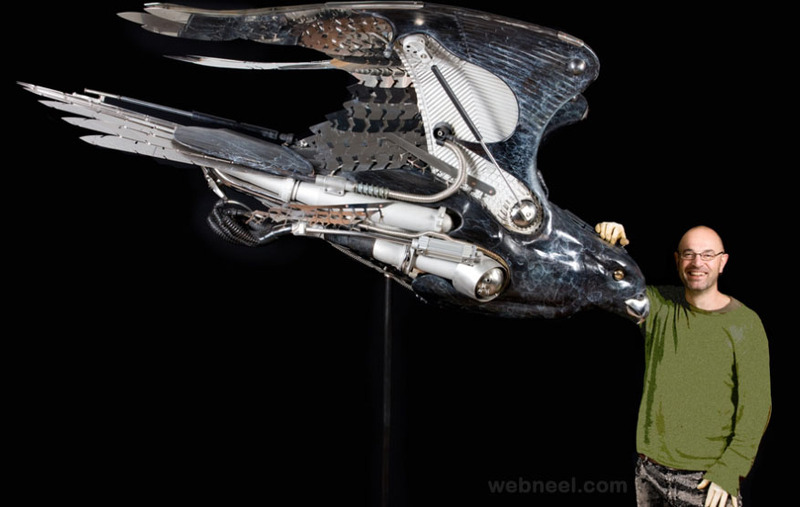 His copper sculptures give the effect of a robotic living beings which are converted into cyborgs. 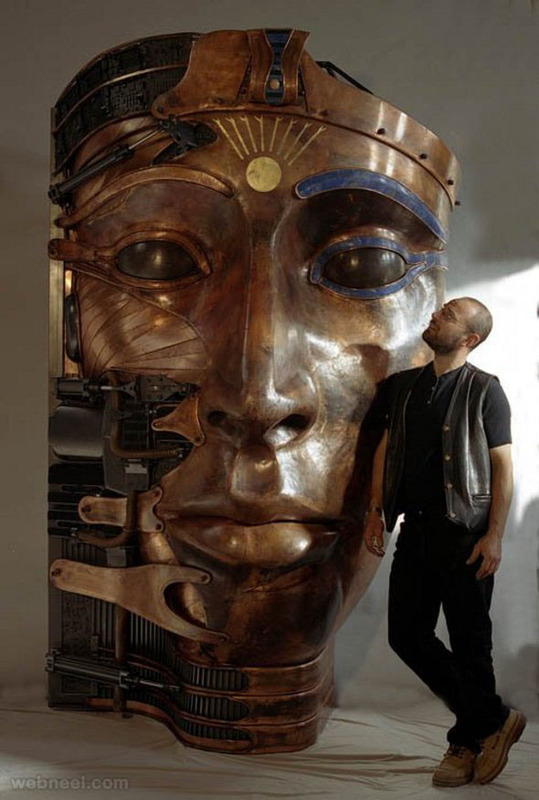 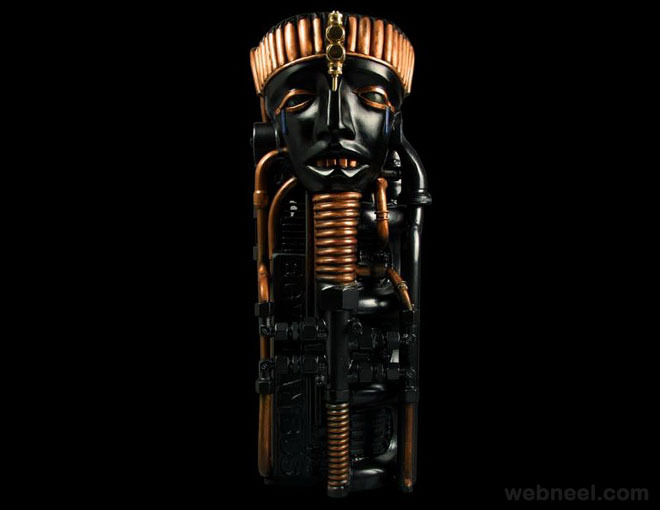 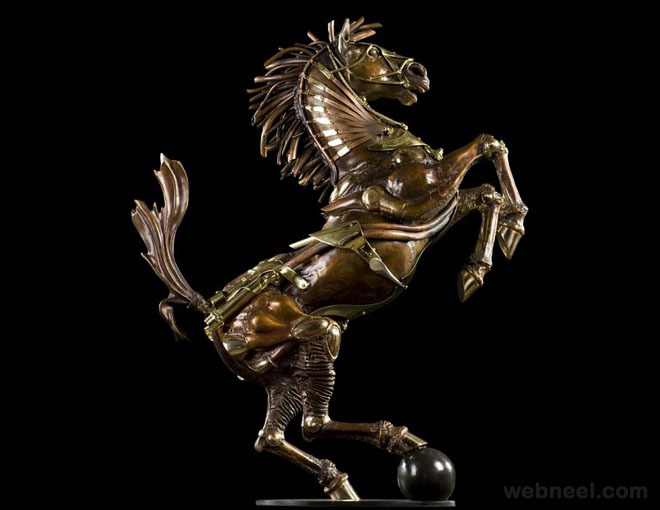 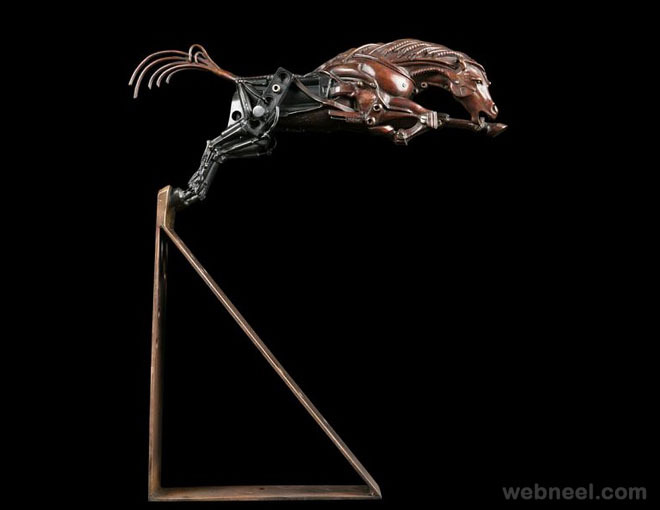 If you look at his copper wall art sculptures, it is more like a combination of metal, mythology and mechanization of reality. 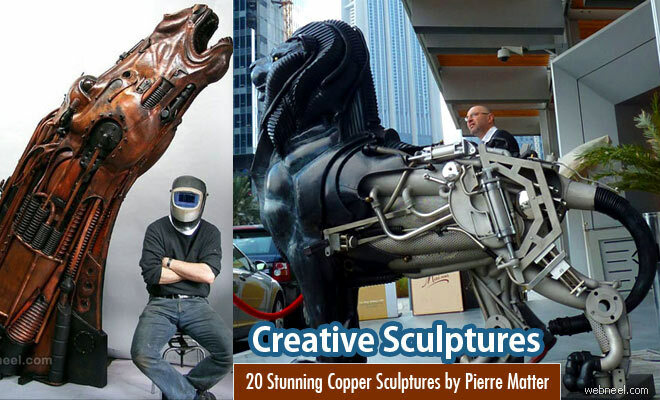 Pierre Matter has a degree in Maths, but his creativity led him to have a go at watercolor paintings, oil paintings, posters and finally he found his passion in the steam punk style copper wall art sculptures.